Programs are followed by clubs, afternoon activities, and evening socials, each of which uniquely provide opportunities for students to meet other campers from outside their program, be active, participate in team-building activities, and exercise their creativity. Weekend excursions allow students to explore their host country and take in the cultures, sights, and sounds of cities like Geneva, Bern, Montreux, and Lausanne. 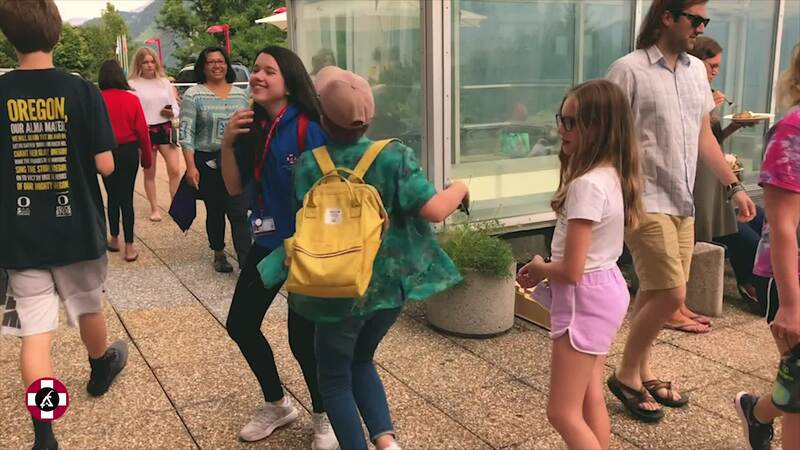 The LAS summer program has been created for students who are 10-17 years old and want to design a summer experience that meets their personal goals and interests. Students are invited to pre-select from a wide variety of stimulating core morning programs- Language, Academic, or Sports - and afternoon clubs so that they can delve into their chosen subjects and develop their skills and knowledge throughout the session. Alongside the core programs and clubs, many activities and excursions occur regularly throughout the session. Alongside the core programs and clubs, many activities and excursions occur regularly throughout the session to captivate all personalities and interests. Each LAS summer session is two weeks long, with three sessions running in total throughout the summer. LAS summer provides a home to students from countries all around the world. With such a large global reach, it comes as no surprise that many students come to Leysin with a keen interest in improving their knowledge of English or the local language, French. Students in this program will select their language of choice as well as their proficiency level to ensure the content meets their educational needs. The LAS summer Sports program helps students to learn about and engage in a healthy, active lifestyle. Students may choose from one of two courses- Tennis or Mountain Leadership Development. The Tennis program, suitable for all skill levels, takes time both on and off the court to teach players about fundamental tennis techniques and tactics, injury prevention, nutrition, fitness, and more. The Mountain Leadership Development program seeks to make the most of Leysin's extraordinary location in a twelve day hands- on course teaching the essentials of navigation, first aid, excursion planning, and the selection and use of mountaineering equipment. Make pieces of art using 2D methods or design 3D creations using clay and other mediums. Discover the joys of creating tasty treats. Fluidity and movement through a variety of dance styles. Embrace our French speaking surroundings or advance your English skills in a fun setting. Compose songs and learn to play instruments or mix and create digital pieces of music. Learn to capture the world around you through a lens. Discover how mathematics and coding are everywhere. Study the fundamentals of filmmaking and become a film-maker. Learn fluidity and movement through a variety of dance styles. Our "Fantastic Fridays" and "Super Sundays" are afternoons dedicated to more challenging activities. Students get the opportunity to test their skills with a wide range of dynamic activities such as parapenting, white water rafting, canyoning, high ropes course, climbing, mountain biking, windsurfing, and paddle-boarding.